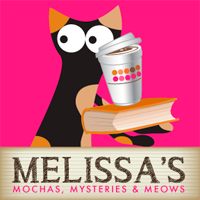 Because of the name of our blog, I've often been asked where the "mocha" comes in. Obviously we're all about cats and books, and in my opinion curling up with the two accompanied by a mug of my favorite warm beverage is the icing on the cozy cake. Hand-blended in small batches at their studio in Portland, Oregon, Plum Deluxe’s line of signature loose leaf teas will help you to slow down for a mindful moment and enjoy the luxurious feeling of a premium tea, perfect for a warm exchange with friends and family or a few quiet minutes of solitude, reflecting on the good life. All of their tea blends are organic, non-gmo, and free of chemicals and sulfites - and they support local and USA farmers wherever possible. The company is a tribute to the founder's mother who lost a brave 6-year battle with breast cancer but never forgot to enjoy “the little things” in life. Plum Deluxe's most popular offering is their tea of the month club - for only $10/month subscribers receive 1 oz of a custom seasonally-perfect artisan loose leaf tea made just for the club. Subscribers also enjoy access to a robust and supportive private tea lover’s community, tea-inspired recipes, discounts on extra teas and supplies, and other surprises. They host member meetups throughout the year, but several members host self-organized group events year-round. 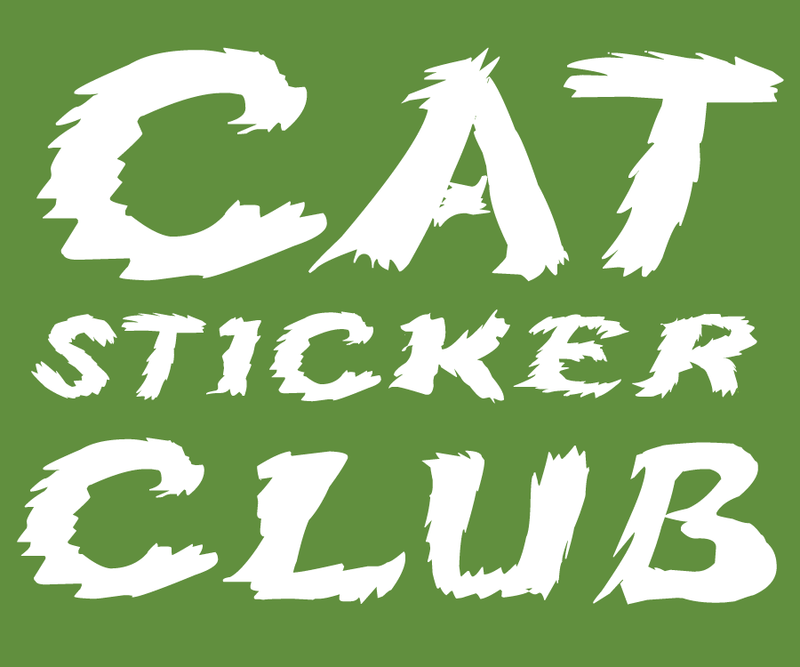 It's a wonderful way to be supported and meet others in your local community, especially like-minded groups (book clubs, cat lover get-together, etc.). I received two packets of tea: January's tea of the month club offering, A Dark Night Orange Spice Puerh, and a second of my choosing. 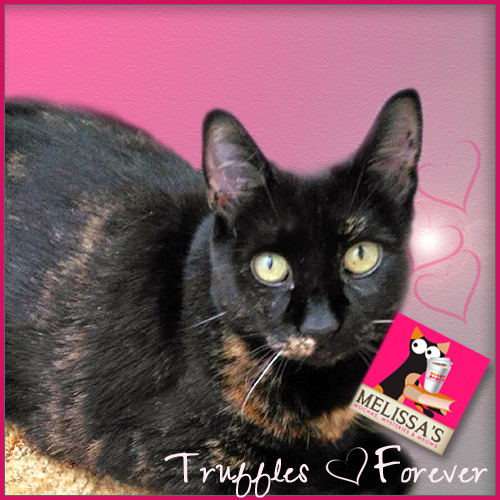 I selected (surprise, surprise) the Raspberry Cocoa Truffle Tea. The truffle tea I found to be decadent and soothing. Chocolate and raspberry are often paired together and it really is a match made in heaven. The tea packet contains real cocoa nibs which are bits of fermented, dried, roasted and crushed cacao bean. It's chocolate that hasn't been mixed with sugar yet and is very good for you. The chocolate taste is rich enough that it's just like drinking my favorite raspberry hot chocolate...but much healthier! The orange spice tea is just as flavorful, and I love how inside the tea packet you can see actual pieces of the ingredients: cinnamon bark, orange peel, ginger root, hibiscus and rose hips. 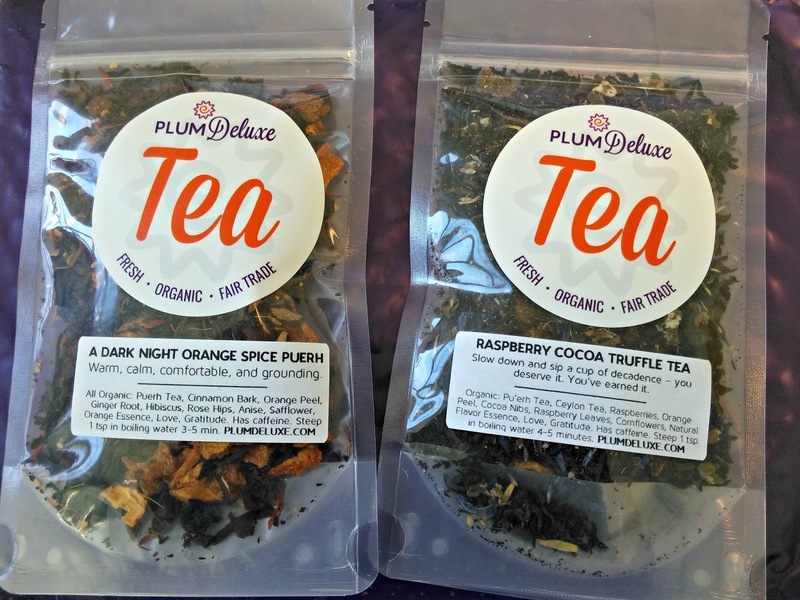 Plum Deluxe tea is packaged with such love and care. We all have things that just make us feel warm and cozy inside. 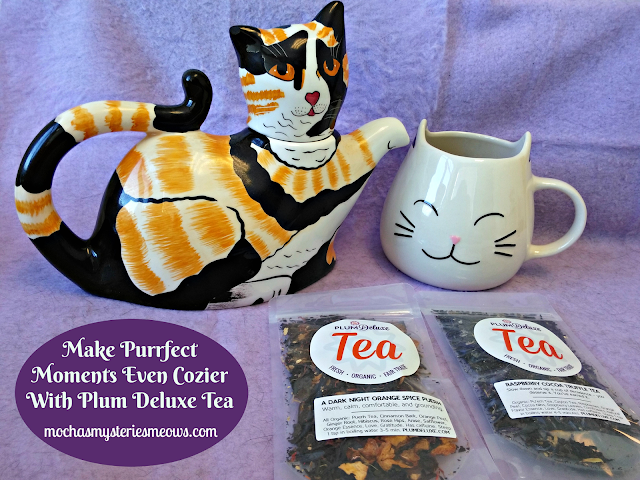 For me that purr-fect moment is Mudpie on my lap, a great book, and now the comforting flavors of Plum Deluxe tea have been added to make the experience even more magical. Life is hard. Take some time each day to savor the little things that make you happy. Disclaimer: This post is sponsored by Plum Deluxe. All opinions are our own and we never recommend a product we don’t fully believe in. My human is not a tea person either, but she says that these really do sound heavenly! I want to know, do they have catmint tea? I love Plum Deluxe! Wonderful teas, and a great company. I love tea, but I don't drink it as much as I used to. That orange spice sounds heavenly! I've always been a tea drinker. While I don't drink it near as much as I used to, I still love the stuff. These blends sound amazing. I love raspberry and cocoa, and so this one really sounds like a match made in heaven indeed. Yum! And I could not agree more on how purrfect a kitty in your lap and a book in your hand is. That's the life. Purrs! They're just up the road from us and we didn't even know it! Our mommy can't stand coffee but she drinks tea every day! She always tries new flavors so saw several on their site she'd love to try like Coconut Macaron Dessert tea. Lately she's been enamored with cinnamon tea and always likes any with cherry or almond. Her teas take their own shelf in the pantry! I love to have a cup of tea or in the summer iced tea. One of my favorite blends is Bigelow's Constant Comment. It is a warming tea that never grows old. 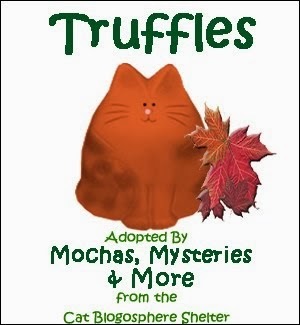 I've never tried many tea varieties but the Raspberry Cocoa Truffle sounds delicious. Mudpie asleep, on your lap, is precious. I am a tea lover and drink tea all year round. I enjoy lemon flavored and citrus blends. 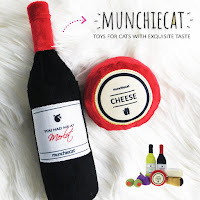 Thanks for this wonderful and enticing feature and giveaway. How cute! I'm not a huge tea drinker. It's either Iced or Chai for me. :-) But I do like English Breakfast as well. That is a nice giveaway. I definitely prefer coffee, but I do have a cup of decaf tea at night before bed. 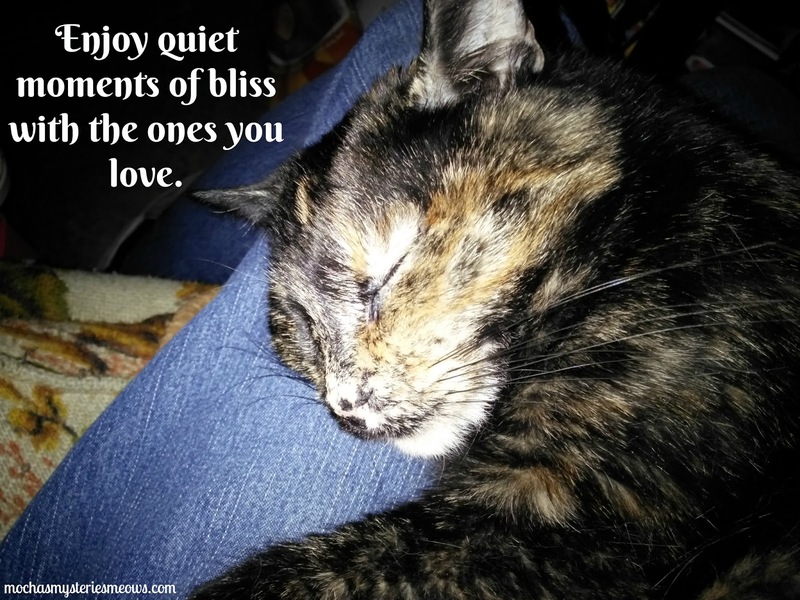 Awww ... that picture of Mudpie sleeping on your lap takes the cake! i would start drinking tea too if i could drink out of such cool mug and tea pot!!! I'm a big tea fan, however I like to drink it over ice. Yes I am.. Apple Cinnamon is one I like.. I love mint tea, any type of mint; love the scent and how it soothes my whole body. BTW, the photo of the cat on this blog post reminds me of my Mama Kitty who passed away in early December. She was a good girl, and I miss her so...even tea can't take that pain away. I absolutely love tea! It is my favorite drink. :) Choosing a favorite is so hard! I think that mint tea will always be at the top of the list. Yes. I like black tea the most. I love tea and hot chocolate. Not much of a coffee drinker. TW loves both tea and coffee. While she loves a good Duncacchino, she unwinds with a chamomile tea. Make sure your mom drinks that Reading Nook tea before bed since both those ingredients can make her sleepy. Pop gets mad at TW cos she has so many flavored teas, she even has them stashed in her bedroom. I like Black Tea and Chai Tea -- only tea I DON'T like at all is Earl Grey.